Star Wars – Why Knot Friar? What is a vocation? It is the place God calls us donate ourselves toward something larger than ourselves. In the words of St. John Paul the Great, it is “total self gift.” How do we find the place where we give the most and receive the most in return? We must take time to discern, that is to prayerfully weigh the greatest decision of our lives. Should we fail to take the time to discover our vocation, then the currents of life will inevitably decide for us. And this is where Jonah gives us a great life lesson. Jonah ran from his vocation, all the way to Tarshish. He felt resistance which is not necessarily a bad thing. Resistance can indicate a very important life transition. Jonah had a vocation and call to be a prophet in Nineveh so he ran 180 degrees in the opposite direction, as far west as he could go. Jonah was sleeping in the belly of the boat bound for Tarshish while all those around him were in chaos. The captain and crew of the boat were in turmoil. (Jonah 1:3-5) Our failure to follow our vocation can bring turmoil upon ourselves and others around us. We can put off this great calling from God, but a higher calling toward a vocation is not something to be ignored. There is a great scene in the movie “Star Wars: the Force Awakens” when the protagonist Rey first touches the lightsaber and has a scary flashback. 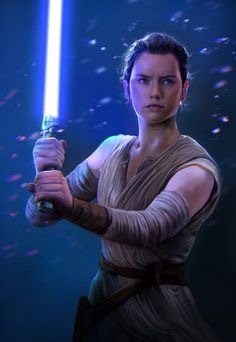 Rey who is a natural when compared to other Jedi Knights senses a mission that is larger than herself. 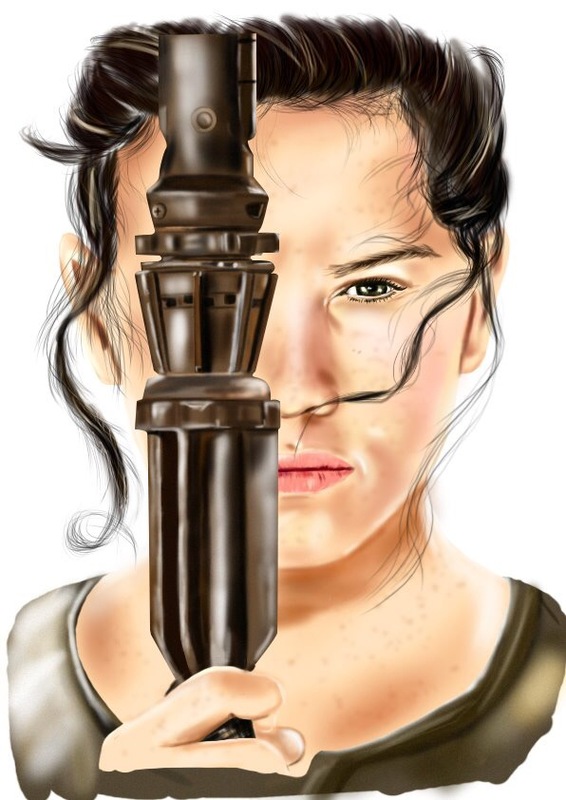 A prophetic woman named Maz Kanata wants Rey to follow her true calling and pick up the lightsaber. Rey is reluctant and resists her call and flees to an evergreen forest. But this vocational calling is too big to flee, and her new friend Finn rescues her with the same lightsaber in hand, and gives her the encouragement to follower her “destiny.” The secret message to pursue a vocation is … we can’t do it alone, often we rely upon our friends and family to push us and guide us through difficult decisions. When we take the easy option it is rarely the right choice. The comfortable path lures us into the “lazy boy” Gospel and we nap through challenges in our comfy easy chair. The Gospel of Christ is one of discomfort. There is nothing comfortable about carrying a cross. It requires us to confront our resistance, to freely give ourselves away, and to pick up a cross custom made for our shoulders. Jesus encourages us to follow our vocation, “For my yoke is easy and my burden is light” (Mt 11:30) and with our free will we pick it up and carry it. To follow Christ is not a Gospel of easiness, it is a Gospel of queasiness. It is that nervous tightness in our throat or tickle in our belly that makes a person unsettled, queasy, and afraid to go out and act. Your vocation moves you toward the challenging path, not the easy path. We know in the depths of our hearts that our vocation is the place we will gain the most, and potentially risk the most, and have the most at stake. St Paul taught us this on the road to Damascus, St Francis of Assisi taught us this when he prayed before the crucifix, St Clare of Assisi taught us this through her tenacious hold to absolute poverty in order to govern her religious community of nuns. Your vocation is the one thing that will challenge the most of you, it will demand all the courage you can muster, and it will also pay out the greatest rewards. Affirmations surface in the form of joy and peace that fill a seeker’s heart, these are signs that you have found your vocation. If you have bitterness and resentment, these are signs that God may have something else in store for you. Where has God led you today? What holds the greatest joy for you? What produces the greatest sense of fulfillment and excitement? I tell you this is where your vocation lies and where God calls you today. Do not let the easy chair Gospel lull you into a lazy snooze, today is time to pursue our God-driven vocation. Jonah sailed away on a ship bound for Tarshish and God brought him back to the shores of Nineveh for a do-over. We are all traveling on a providential ship bound for our holy vocation. We can settle in a belly of a ship of our own making, or in the belly of a fish of God’s own making. Which way is your vessel traveling, towards God or away?